Analysis: The University of Arkansas Pine-Bluff needs approximately a $1.1 billion endowment for all of its undergraduates to attend debt free. Located in Pine-Bluff, Arkansas which has the ninth largest population in the state. The school is located in a predominantly African American city but the last census shows over a 10 percent decline in the population over the past decade. A disturbing trend given that college towns on the rise tend to see a boom in their population and property values. They are also located only 45 minutes from Little Rock (pop. 200 000) which has a more than 40 percent African American population and less than 3 hours to Texarkana (pop. 143 000) which has more than 40 percent African American population as well. This triangle formation gives the University of Arkansas Pine-Bluff a strong base from which to start its growth and hopefully dominate the recruitment in the area. The university needs to at least double in size if not triple which could be extremely difficult to do given the demographic hurdles it would be facing. None the less rapid growth is needed in order to start to increase its probability of producing high quality donors. Currently, the school is not even at 2/1000th of its current to needed endowment ratio. The current endowment is of grave concern. Its primary competition is the University of Arkansas which is over 6 times its size but has an endowment almost 500 times its size. 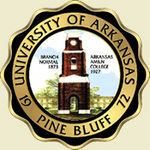 This leaves UAPB vulnerable in any resource battles within the state and region. They have a lot of work to do to improve their current endowment situation and make it competitive. If they do not address the issue they could be endangering their long-term viability.